This production contains strong language and graphic violence. 'Anthony Neilsons claustrophobic drama delves into the life of Peter K黵ten  a.k.a. the D黶seldorf Ripper, a dapper, mild-mannered and well-spoken German who in 1929-30 disposed of several of his fellow D黶seldorfers in various gruesome ways. More interesting than a litany of crimes, however, Normal traces the uneasy relationship developed between K黵ten and his defence lawyer, Wehner. Along the way, it unravels K黵tens brutal, abusive and deprived childhood in dour provincial Germany. Fallen Angel/Stepping Outs version admirably teases out both K黵tens brutal, sexualised and morality-free internal world, and the pathos of his marriage to fellow loner Eva, built on mutual necessity (the passion fades. The need survives  Neilsons language is a pleasure throughout). Just as central is the journey undertaken by Wehner, an idealistic but emotionally stunted soul who acquires an uneasy empathy for the bloodier recesses of his clients mind. 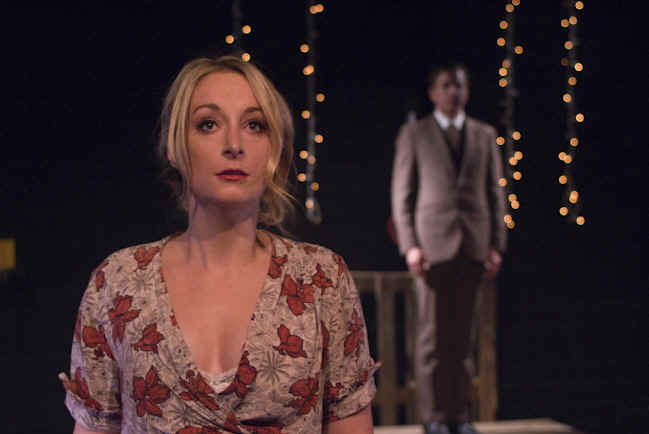 The staging and pace of the play are brilliantly eerie, with a dark fairground/German Expressionist backdrop and bursts of frenzied energy bringing out a disturbing, blackly comic edge. I wouldnt generally enthuse about an hour spent in the company of a man whose idea of a good time was to wrench the head off a swan and drink its blood, but Im making an exception for the current production of Normal at the Brewery. Its sensational  in a good as well as a lurid way. 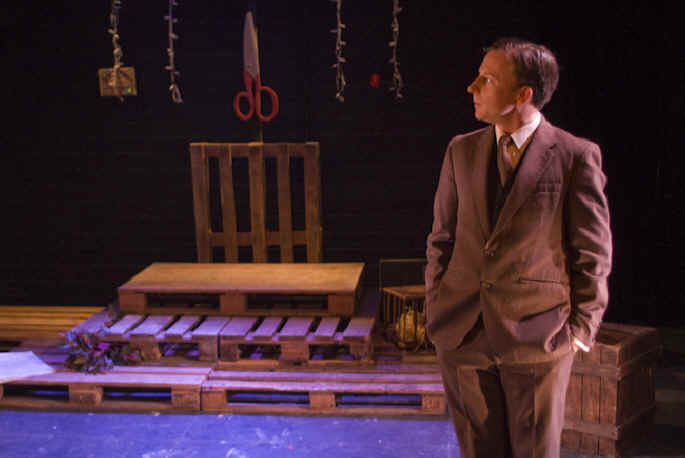 Anthony Neilson based his play on the real-life story of Peter Kurten, a German serial killer executed just before WW2, and theres a dreadful foretaste of Nazi atrocities in this electrifying production. As well as the grim realities of history and psychological harm, this is a gripping horror story where crazed toys come to life, props become murder tools, and no-one seems sane or normal despite the courtroom verdict. The uneasy feeling of entrapment in a gothic fairground is enhanced by fantastic set & lighting (Frazer Riches), by virtuoso acting (Oliver Millingham, Michael Mitcham, and Kate Kordel), and by the truly inspired direction of Chris Loveless. Top of my theatrical unforgettable moments of 2009: the manic dance sequence between Peter and the young lawyer he relentlessly entraps in his gruesome world. 'Look away sharpish if youre of a delicate disposition. Why? Because the all-new and sweetly marvellous Brewery Theatre is showing a play thatll scare at least one of your socks off and revolve your stomach right around, thats why. Anthony Neilsons Normal rips open the innards of one Peter Kurten, based on the real-life 1920s German known as  hint, hint  the Dusseldorf Ripper, someone for whom a predilection for indiscriminate murder and generous bouts of destructive mayhem finally get him executed. An unnervingly naive lawyer, Justus Wehner, is drafted in to defend Kurten, who we meet in prison awaiting trial for nine grotesque murders and heaven only knows how many assorted attacks on escapee victims. But Wehner fails so spectacularly in his bid to discover a reasonable defence for Kurtens behaviour that he finds himself pitched headlong into a universe where so-called normal laws of morality dont apply and where innocent bystanders  him, for instance  are swallowed wholesale by Kurtens single-minded bloodlust. Wehner twigs almost from the outset that Kurten is not mad but simply a monster. Accordingly, the set is littered with two-foot high scissors, enormous, foil-bright hammers and sinister protrusions of hardware to back up the grisly facts of his frenetic life. The play is improbably funny, with Kurten describing Jack the Ripper as a man after my own heart. 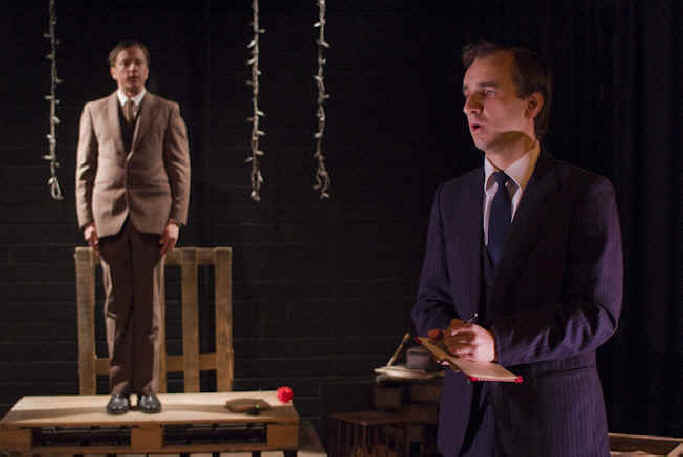 Imaginary courtroom scenes are handled like a weightless script-souffl�, thanks largely to a trio of actors in tip-top form: Kate Kordel, Oliver Millingham and Michael Mitcham  who surely must have one of the noblest-looking profiles in the world for playing morally-tortured chaps in the legal profession. And Millinghams Peter Kurten is charismatic and rapacious, matched by Kordel as his luscious, misery-laden wife, replete with turn-o-the century stockings and violent-red lips. 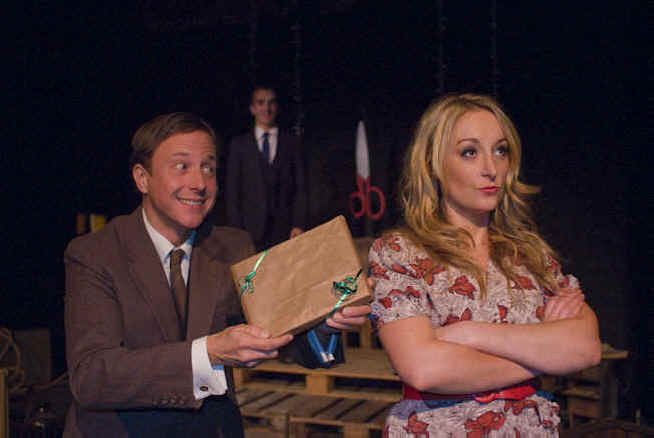 Adapted stylishly from a production of two years ago by director Chris Loveless, characters shimmy erratically about, to background fairground music, like raindrops racing down a mouldering sash window; while bursts of cartoonishly splattery, bloodcurdling activity are spliced with menace-soaked longeurs. 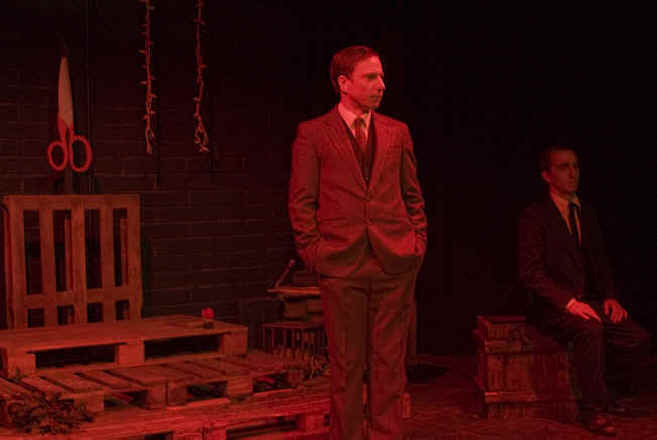 Normal is a darkly comic exploration of the final days of Peter Kurten - aka the D黶seldorf Ripper - who was executed for murdering men, women and children in pre-war Germany. 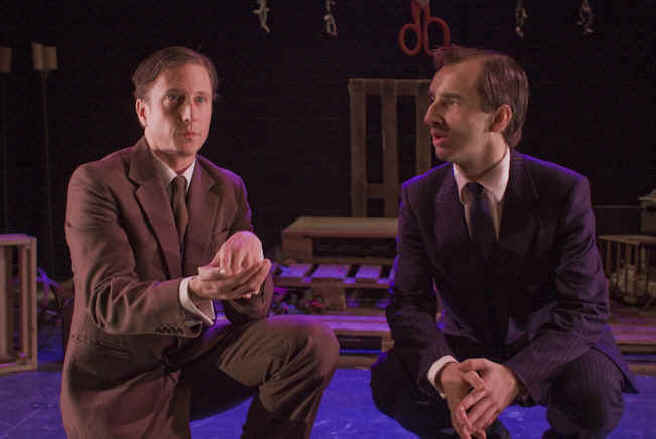 Based on real events in 1920's D黶seldorf, Normal, one of Anthony Neilson's earliest works, develops into a startling and provocative study of madness. On trial for nine horrific murders, Kurten is introduced to Justus Wehner, a naive young lawyer who is hired to defend the indefensible. Wehner decides to plead insanity on behalf of his client in an attempt to acquit Kurten of his crimes, but as the drama unfolds the unworldly lawyer realises this may not be so easy. As Wehner begins to get caught up in a disturbing and macabre dance with Kurten and his perplexing wife, he comes to the startling conclusion that his client is, in fact, worryingly sane. 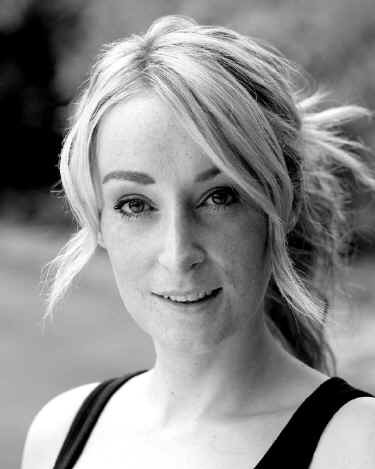 Kate trained at the Bristol Old Vic Theatre School, graduating this Summer in 2009. 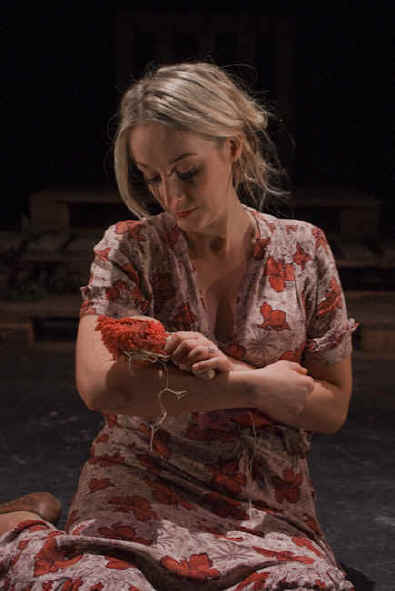 Theatre includes Ritter in Ritter Dene Voss (Roxy Art House, Edinburgh), Desdemona in Othello (Bristol Shakespeare Festival), Antigone in Antigone, Kitty in Anna Karenina, Paulina in Death and the Maiden, Cowgirl in Forced Entertainments The Voices (all Warwick Art Centre). Roles whilst training includes Woman in Winter (Alma Tavern Theatre), Babe in Machinal (Tobacco Factory), Lady Grey in an extract from Henry VI Part 3 at The Globe (Sam Wanamaker Festival), Pert in Man of Mode (Circomedia), Lady Montague in Romeo and Juliet (Bristol Old Vic) Aladdin in Aladdin (Redgrave). TV and Radio includes Ophelia in The Limes, Sam in Monsoon Nights, National Lottery (advert), Beyond Boundaries (advert). Trained: Bristol Old Vic Theatre School (2007 Graduate). Theatre credits include: Fortinbras and Player Queen in Jonathan Millers nationally acclaimed Hamlet and Biondello in The Taming of the Shrew (Shakespeare at the Tobacco Factory 2008 Season); Don Pedro in Much Ado About Nothing (RSC Complete Works Season YPS); Toad in The Wind in the Willows (Redgrave Theatre); Francis Flute in A Midsummer Nights Dream (Bristol Old Vic); The Lost World (Bristol Old Vic) directed by Toby Hulse; My Future My Choice (Bristol Old Vic). Oliver regularly performs with Bristol-based companies Theatre West, Stepping Out and Show of Strength; recent productions include: Derby Day; Cave; On The Edge; Trading Local; Blavatskys Tower; Ray Collins Dies On Stage and most recently, the five-star production of Showing The Monster. T.V. & Radio credits include: The Heart of Thomas Hardy (BBC One); A Night With Johnny Stompanato and An Unchoreographed World (BBC Radio Four). 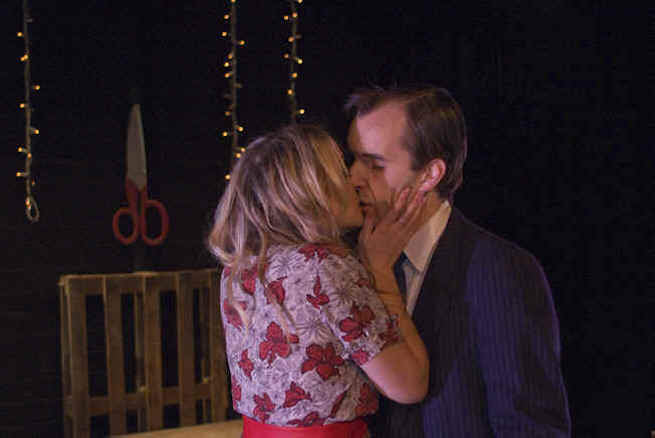 In 2008 Oliver founded a new pub theatre "Upstairs at The Lansdown", with the premiere of Another Time Another Place, a play he wrote and directed specifically for the space and he is the co-director of the Script Space new-writing initiative at the Tobacco Factory. Michael trained at Drama Studio London. He has recently completed a summer season of weekly rep with Charles Vance Productions. Roles included Inspector Martin in The Late Edwina Black; Norman in Ayckbourns Living Together; Dr Lane in House on the Cliff; Trevor in Ayckbourns Bedroom Farce; Wyndham Brandon in Patrick Hamiltons Rope; Edward Teddy Bare in Murder Mistaken; and Jan Warwick in Agatha Christies The Unexpected Guest. 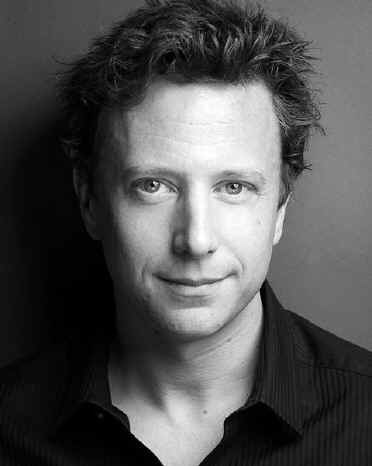 His other credits include Hillbilly Goats Gruff with James Dreyfus (from TVs Gimme Gimme Gimme) at The Edinburgh Festival Fringe; Greg in Ayckbourns Relatively Speaking (White Horse Theatre); Andrew in The Maidens Prayer (Tapestry Theatre Company); Private Harry Johnson in The Case (Donkeywork Productions); Romeo in Romeo and Juliet (English Theatre Company) and a stint in the award-winning Newsrevue (Canal Caf� Theatre). More credits include Delta (abm Productions), Phil Danielss Football Matchday Madness (celador) and adverts for SKY Sports, T-Mobile and Subway. He has a background in Modern Languages (French/German/Italian) and, when not acting, works as a teacher and translator. Directing credits include Moonshadow (Time Out Critics' Choice ~ Show of the Week, White Bear), Ray Collins Dies On Stage (Alma Theatre), Thursday Coma (Alma), Walter's Monkey (Alma), Dracula (White Bear), The Custom of the Country (Time Out Critics' Choice, White Bear) and Normal (Greenwich Playhouse). Assisting credits include Othello (Tobacco Factory) and The Demon Box (Alma). Producing credits include an internship with ATG in their West End production office, work with The Okai Collier Company and several fringe shows. 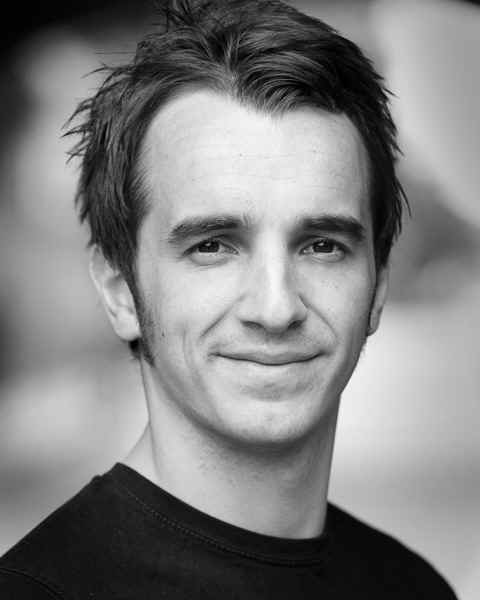 Chris has also worked in TV and theatre as an actor and is a former member of the National Youth Theatre. Frazer is a technician for the Tobacco Factory Theatre and primarily responsible for the Brewery Theatre space. He trained in Technical Theatre with the South West Academy of Dramatic Arts (SWADA) at Filton College, before pursuing a freelance career. 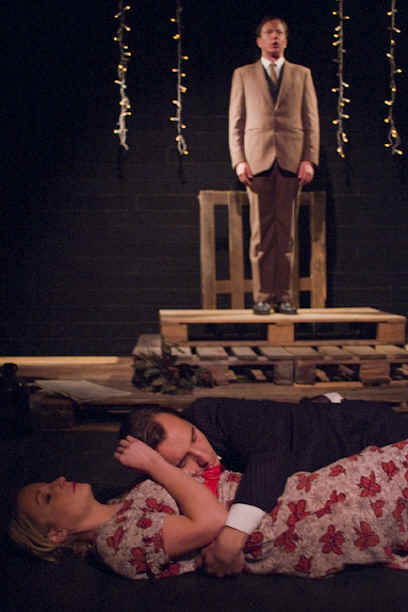 Lighting design credits include Nostalgia and Showing the Monster for the Theatre West season at the Alma Tavern Theatre and Seven Go Mad in Thebes for Stepping Out Theatre Company. Fallen Angel was established in 2007 and focuses on new writing and innovative revivals of provocative and challenging works. 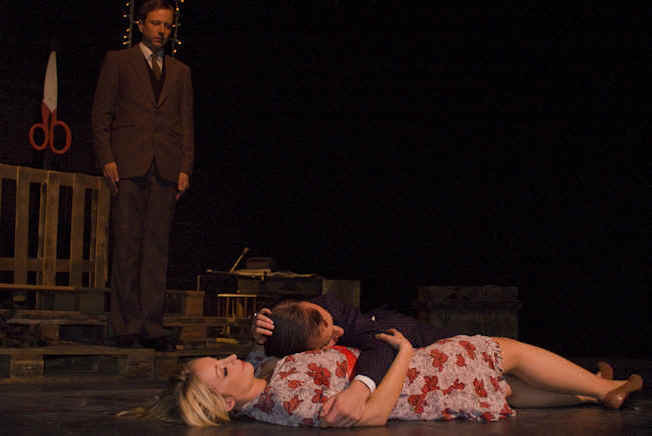 Productions to date include Moonshadow (White Bear), Ray Collins Dies On Stage (Alma), Dracula (White Bear) and The Custom of the Country (White Bear). All have received widespread critical acclaim. My Name Is Alice (Bridewell); Whole Lotta Shakin (Belgrade, Coventry); Great Balls Of Fire (Cambridge Theatre, West End, Plymouth, Birmingham); A Wrongful Execution (also directed  Hackney Empire); Spooky Noises (also book & co lyrics  Merlin Theatre); Countess & Cabbages (also book  Merlin Theatre); Preacherosity (Jermyn Street); Purlie (Nominated for 4 Whats On Stage Awards  Bridewell); Elegies For Angels, Punks & Raging Queens [also Executive Producer on 2001 Cast Recording  Bridewell, Globe Centre, Three Mills]; La Vie En Rose (Kings Head, Towngate Theatre); Love, Loss, Life & Laughter & Everyones Opera (Merlin Theatre); Viva O Carnaval (also co book & lyrics  Lilian Baylis Sadlers Wells) & Ruthless (Winner of 5 Musical Stages awards  Stratford Circus, London). Simon has also been the Executive Director of Londons Bridewell Theatre and Artistic Consultant to Jermyn Street West End Studio Theatre. Bristol Old Vic Theatre School, Ali Robertson, David Dewhurst and the Tobacco Factory, Brian Loveless, Rory Singleton, Angelic Inspiration Entertainment, Father Brian Ralph and the PCC of St. Barnabas Church, HOBS Reprographics, Century 23, The Lansdown, Anna Pilsworth, Averys Wine Merchants, James Dove, Ann Stiddard, Ulf Pedersen, Ross Hughes and Ian Humphries.